We provide pressure sensitive drawing experience on Adobe Photoshop/Illustrator/Animate(Flash) with VirtualTablet. However, it comes with a few conditions below. If you are Mac user, you just update your VirtualTablet Server to v3.0.2 or later and it will work. 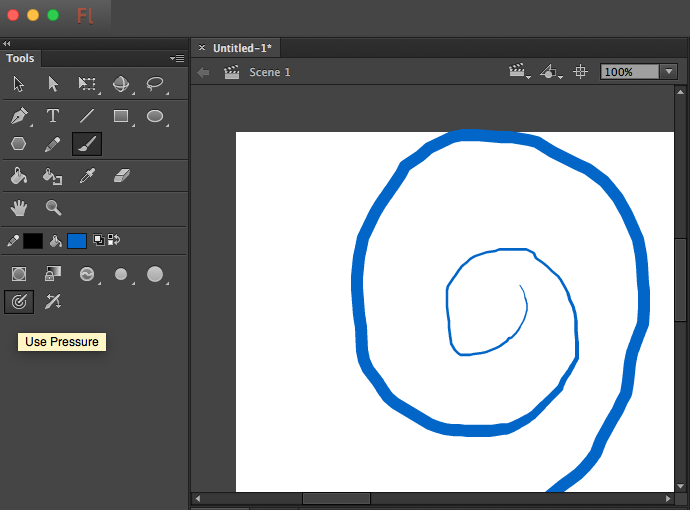 WARNING: pressure sensitivity is not working in Adobe CC 2017 versions. We are trying to fix this now. Before that, please use Adobe CC 2014~2016 for the pressure sensitivity support. How to configure pressure sensitive brush? 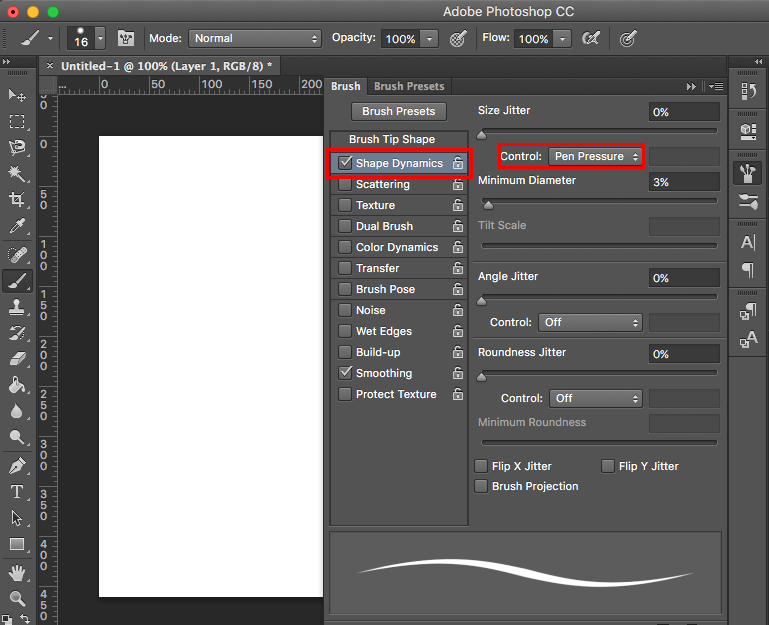 You need to adjust brush settings to get the pressure sensitivity working in Adobe products. Please refer following instructions for each product. 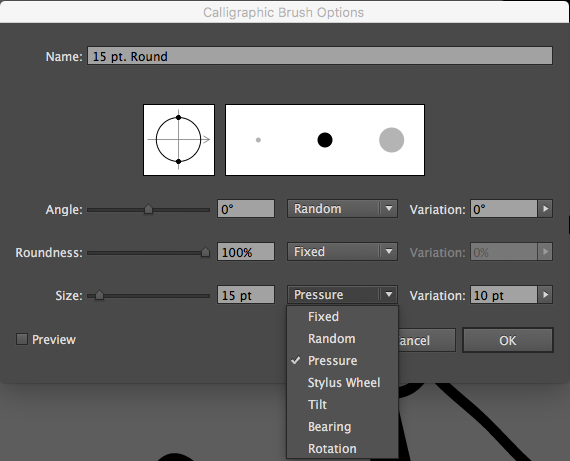 Check “Shape Dynamics” and select “Pen Pressure” for Control. 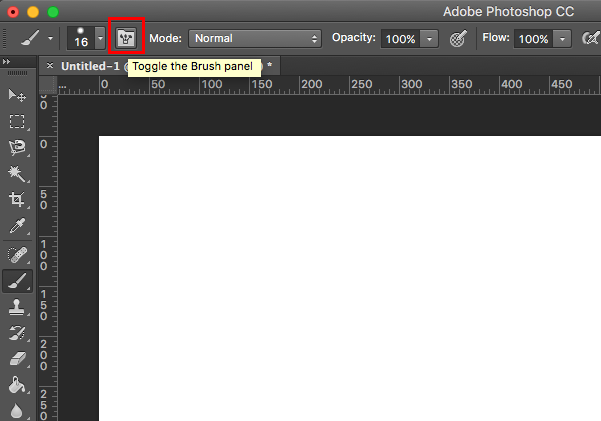 Click on brush size window and open up the option menu on top right. Select “Brush Options”. Change the size option to “Pressure” and give some variation numbers. Please refer to the following video tutorial to get more information. 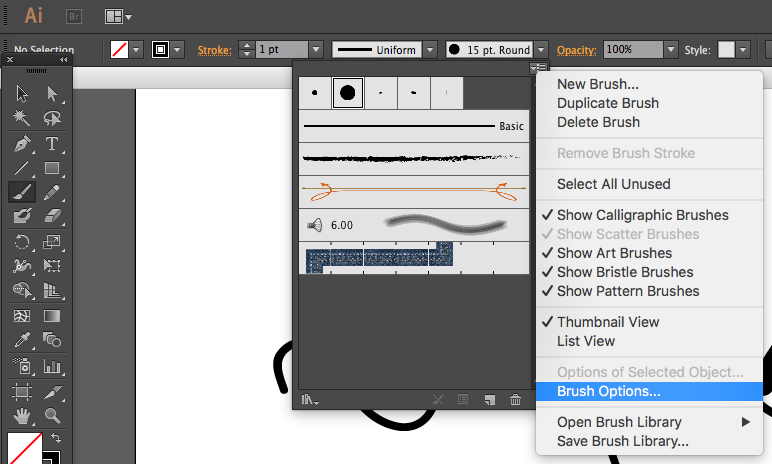 Select the brush tool in the tools window. “Use Pressure” tool option will appear in the tools window. Turn it on.